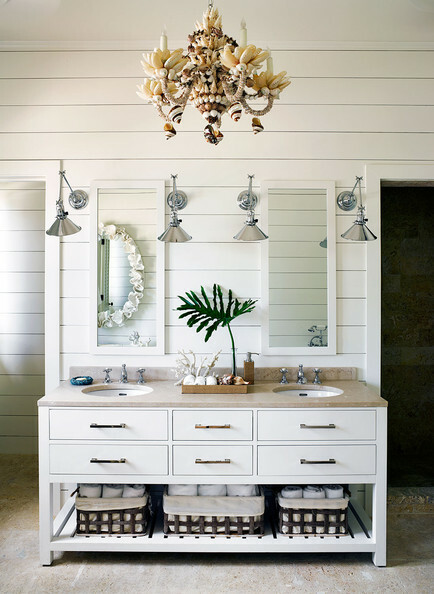 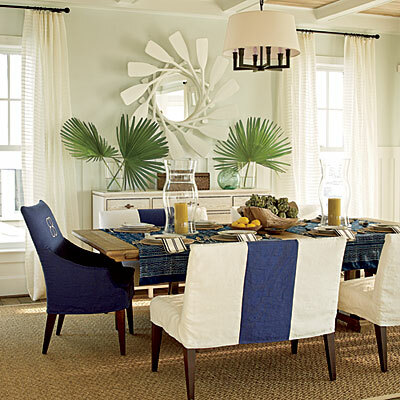 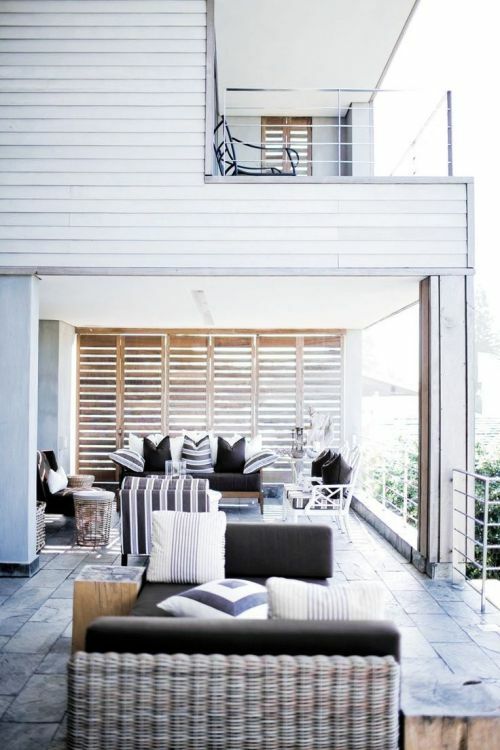 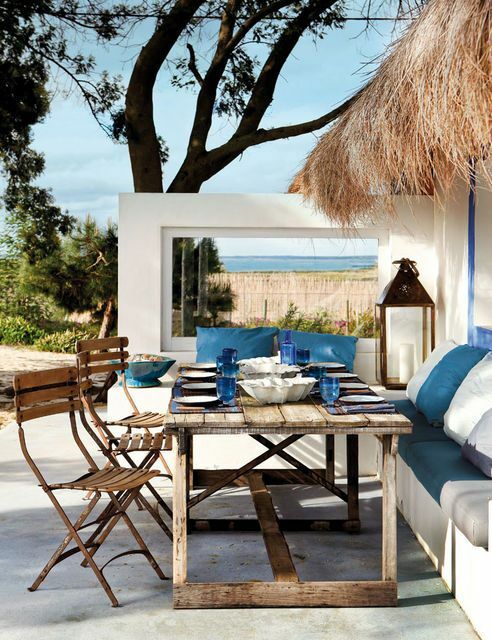 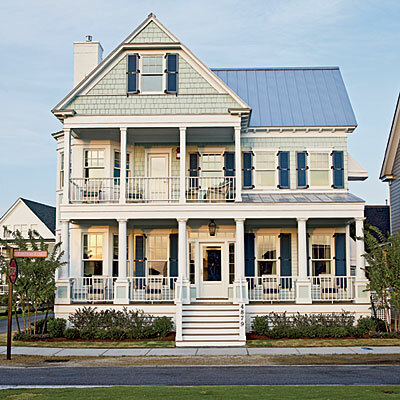 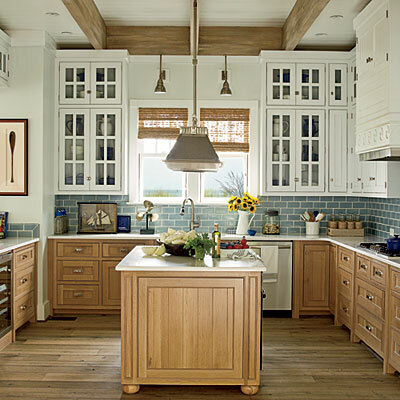 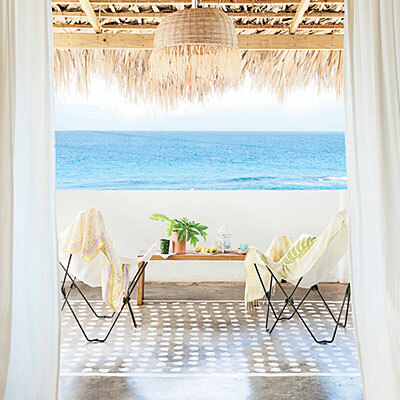 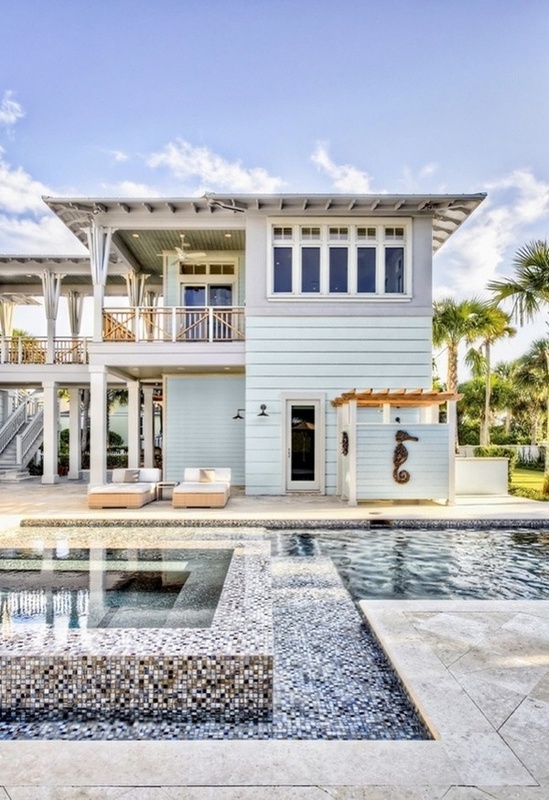 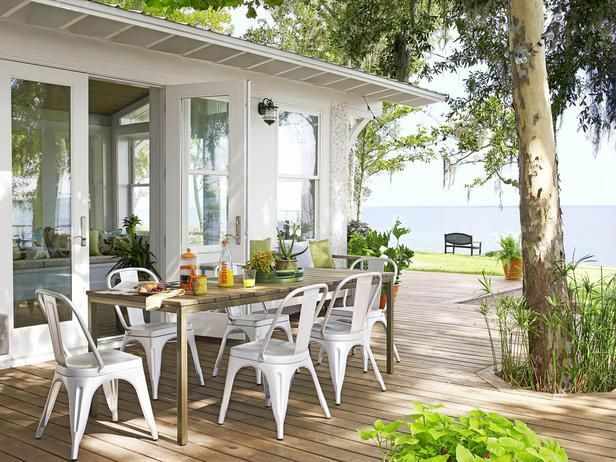 Such a pretty beach house with wonderful neutrals and brights from Coastal Living. 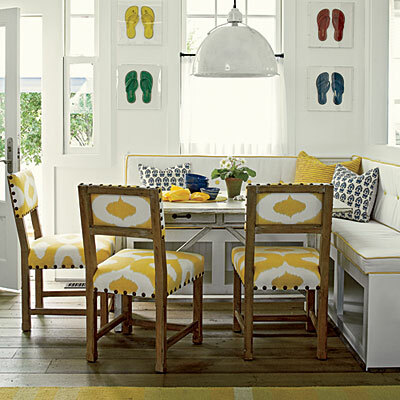 Beachy feeling with a mix of wonderful fabrics on the headboard in the bedroom, stripes in the living room and dining room and super cute fabric in yellow on the chairs in the breakfast nook...very adventurous. 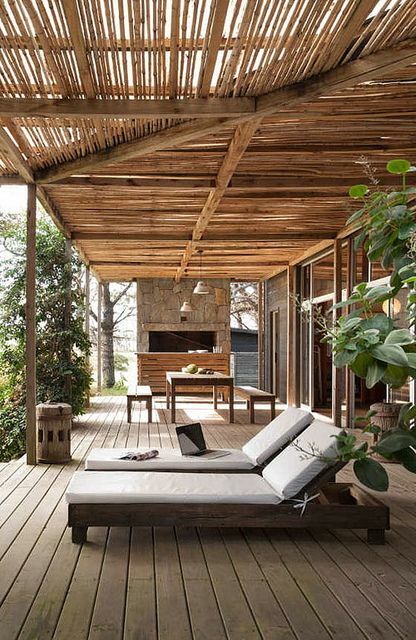 All natural sisal carpets throughout and natural wood on the ceiling are the perfect compliment to the colours in the house. 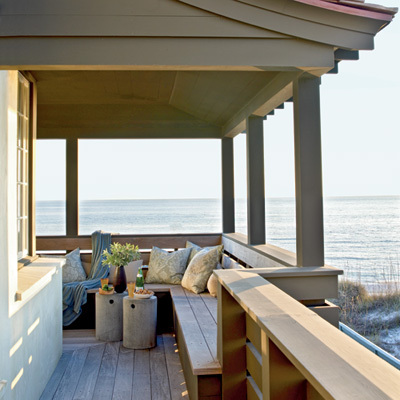 Of course what a view from the the sun room and what a view of the house .....talk about curb appeal!